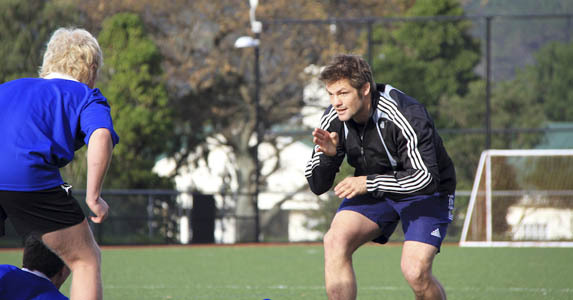 IN THE February edition of Rugby World, All Blacks legend Richie McCaw told us how much he’s enjoying coaching kids when he’s not training, as part of his involvement with the Rugby Site. The site has produced a range of videos to offer coaching and playing tips from the world’s best professionals. As well as McCaw, Dan Carter, All Black coach Wayne Smith and former coach Graham Henry, Wales’ Sam Warburton and Leigh Halfpenny have all contributed to the site. We spoke to Brendon Ratcliffe, Rugby Site founder and McCaw’s former New Zealand U19s coach, to find out more. Rugby World: Why did you set up the Rugby Site? RW: Players and coaches from all over the world feature on the site. How did you get them all involved? BR: Initially I approached my own personal contacts, but the site has now grown. I’ve had lots of good feedback from some of the world’s best pros. It’s really important to me to get a broad spectrum of players, coaches and nations involved. When I left New Zealand to go and coach at Northampton in 2002, I realised I’d had an insular perspective until then. I was then exposed to the English, French, Welsh and Irish views, and it opened my mind massively. RW: What makes a good rugby coach? BR: Take (All Blacks coach) Wayne Smith. If you talk to anyone who works with him, they’ll tell you he has a significant influence both as a coach and a person. He’s one of the world’s greatest people. He lives the game, he’s an intelligent man in the way he thinks about the game, but he has a solid value list too. BR: It’s not a coincidence that the best players in the world have a commonality about them. Look at people like McCaw and Warburton – they’re humble, driven, they give everything to the team and sacrifice everything for them. Guys like that just have a special energy about them. RW: How long have you known Richie McCaw? BR: He was 17 or 18 when I first met him, just out of secondary school. He came to trial with the New Zealand U19s, and I had been tasked, as the director of player development, with critiquing opensides. RW: What were your first impressions? BR: I reported back that I didn’t think I’d seen a player like that before. He had a phenomenal ability to hunt the ball at the breakdown, ran good lines and made good decision. Even though he wasn’t a captain initially, he was always a leader on the field. He’s always had a real humility about him and he’s a real hard worker. He’s intelligent and did well at school, and comes from very solid roots. His grandfather was a fighter pilot in the war, and he’s from farming stock. RW: Has being an All Black changed him? BR: Today, he’s a trenches captain – he leads by direction. He’s not noisy in terms of the words he speaks, but he commands respect and works well with people. But he’s still the same character as he was when he played in the 1999 Junior World Championship in Wales. He’s definitely had to learn to deal with the adulation and the pressure, but he’s stayed true, dedicated to the cause and passionate. History will show him as one of, if not the greatest ever All Black. 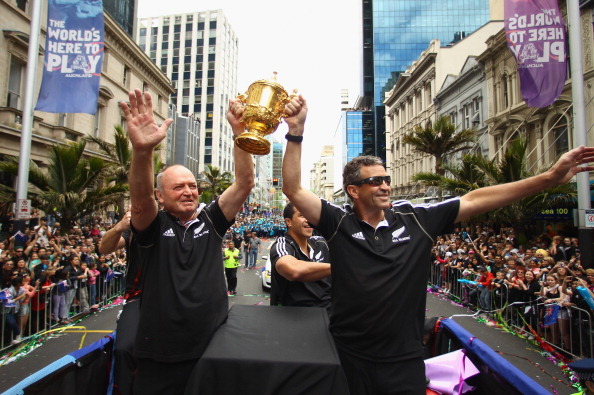 Click here for a taster of our interview with McCaw! The full interview is out now, in the February 2014 edition of RW.